1.1. This Agreement shall come into effect on the date APC Solutions communicates its acceptance of the completed and signed APC Solutions Customer’s Order Form. 1.2. Subject to clause 1.4 below, the Initial Service Term shall commence on the Service Start Date. On expiry of the Initial Service Term, the Agreement shall continue in full force and effect until terminated by either party providing thirty (30) days written notice. 1.3. Upon acceptance of an Order Form by APC Solutions, each Order Form shall create a separate contract to purchase the relevant Services, and that contract shall be subject to these General Terms and Conditions, the Additional Terms applicable to the relevant Service and any terms set out in the relevant Order Form. 2.1 APC Solutions may accept, or reject any Order Form in its soles and absolute discretion and, on acceptance, shall use reasonable commercial endeavours to provide the Service in accordance with the relevant Additional Terms by the Requested Service Start Date, however it is acknowledged and agreed by the Customer that this date shall not be binding and APC Solutions shall inform and keep the Customer informed as to the expected Service Start Date. 2.2 The Service shall be provided to the relevant Demarcation Point(s). The Customer shall ensure the Customer side of the Demarcation Point (including any equipment provided by the Customer) meets all technical specifications included in the Order Form or as otherwise specified by APC Solutions. (vii) that APC Solutions shall not be liable for any failure or delay in performing any obligations under this clause 2.3 (and the time for performance shall be extended accordingly). (ii) progress with the installation, in which event, the Customer agrees to pay any additional Charges and to facilitate the signature of such agreements between APC Solutions and the third party. (v) APC Solutions will not be liable in anyway whatsoever for the loss or degradation of Service should it occur during this period, or on return of the Equipment to the original location. 2.3.4 In the event that (i) any agreements required under clause 2.3.1, 2.3.2, or 2.3.3 are delayed, or, in APC Solutions’ reasonable opinion, cannot be secured; or (ii) during the Term of this Agreement, any permission and/or consents necessary for APC Solutions to provide the Service are withdrawn or lapse; and/or (iii) either Party identifies, or is made aware of, additional requirements for consent and/or agreements, then, provided both parties have made reasonable commercial efforts to secure such permissions, in addition to any other rights APC Solutions may have under this Agreement or otherwise, APC Solutions may terminate the Service immediately on notice and, whether or not such notice is served, the Customer shall indemnify APC Solutions against all direct and indirect costs and claims relating to, or in connection with, that Service and/or the Customer Site. 2.4 Risk of damage or loss in all Equipment, whether purchased or included as part of the Service (and for the avoidance of doubt, whether the loss and damage has been caused by the Customer or a third party) shall pass to the Customer upon delivery and the Customer, shall at all times keep the Equipment properly identified, stored, protected and insured. On delivery the Customer undertakes to follow all applicable health and safety requirements; not to remove any safety information, instructions or warning notices attached to or affixed on the Equipment. APC Solutions shall use its reasonable endeavours to advise the Customer of any variations as soon as it receives notice of the same from the manufacturer. 2.5.2 prior to title in the Equipment passing to the Customer: the Customer shall (a) keep the Equipment identified as the Equipment of APC Solutions and hold the Equipment as APC Solutions’ fiduciary agent and Bailee; (b) shall not be entitled to sell, pledge or in any way charge by way of security for any indebtedness any of the Equipment, but if the Customer does so, all monies owing by the Customer to APC Solutions shall (without prejudice to any other right or remedy of APC Solutions) forthwith become immediately due and payable to APC Solutions; (c) the Customer’s right to use any Equipment in which title has not passed shall immediately cease in an Event of Insolvency and the Customer will immediately hold the Equipment to the order of APC Solutions; (d) APC Solutions shall be entitled at any time to require the Customer to deliver up the Equipment to APC Solutions, and if the Customer fails to do so forthwith, to enter upon any Site or premises of the Customer or any third party where the Equipment is stored and repossess the Equipment. 2.5.3 subject to clause 11 (Intellectual Property and Confidentiality), title in the Equipment shall pass to the Customer on receipt of unconditional payment, and on such transfer of title: (a) APC Solutions warrants that it has good title to or licence to supply the Equipment to the Customer (b) APC Solutions shall pass on to the Customer (so far as is possible) the benefit of any warranty given to APC Solutions and will supply to the Customer details of the terms and conditions of such warranty (c) the Customer shall (and shall procure that any relevant User or third party using the Equipment or Services shall) be solely responsible to the entire exclusion of APC Solutions for complying with any requirements of applicable warranty terms and conditions as well as any to any Equipment safety information, installation or other instructions or warning notices, specifications, technical data, policies and procedures supplied with the Equipment or as advised to APC Solutions, or the Customer, from time to time; (d) comply with all statutory or other government regulations in relation to the export of Customer Equipment regardless of any disclosure made by the Customer to APC Solutions. The Customer will not export or re-export directly any Equipment without first obtaining at its own expense all such written consents or authorisations as may be required by any applicable government regulations and, if requested, produce evidence of any such consents or authorisations to APC Solutions. Failure to obtain such consents or authorisations does not entitle the Customer to withhold or delay any payments due under this Agreement. 2.5.4 If the Customer is entitled to reject any Equipment by reason of non-compliance with the warranty referred to in clause 2.5.3 APC Solutions will only accept the return of such Equipment if it receives written notification of such non-compliance giving detailed reasons for rejection and the Customer complies with all returns procedures for that Equipment notified to it. APC Solutions will not consider any claim for compensation, indemnity or refund until liability, if any, has been established or agreed with the supplier of the Equipment and where applicable the insurance company. Under no circumstances shall billed Equipment be deducted or set off by the Customer until APC Solutions has provided the Customer with a corresponding credit note. 2.6 If APC Solutions chooses to supply, or the Customer chooses to opt, for a Static IP address then this shall be stated on the Order Form and supplied in accordance with the Additional Terms, for the avoidance of doubt, the Customer does not own any Internet Protocol address or have any right to sell the Internet Protocol address related to the Service. 2.7 Unless otherwise set out and agreed on the Order Form, the Customer acknowledges that it is responsible for implementing any desired security mechanisms for the Service in accordance with clause 4. 2.9 If after acceptance of an Order Form APC Solutions determines that additional infrastructure is required to enable the Customer to receive the Service, APC Solutions will inform the Customer by notice in writing of the excess construction Charges that will apply and any impact on the Requested Service Start Date. The Customer will have a period of twenty-eight (28) days from the date of the notice within which to accept the excess construction Charges. Failure to accept the Charges within this timescale will result in the Customer’s Order Form for the Service being cancelled and neither party shall have any liability to the other. Where the Customer accepts the Charges, but subsequently cancels the Service (including any order for Equipment to be purchased under clause 2.5) prior to installation, the Customer shall be liable to APC Solutions for any work started, completed or committed to, together with such reasonable cancellation Charge as may be notified by APC Solutions to the Customer. 2.10 After, and notwithstanding, the acceptance of an Order Form, APC Solutions shall be entitled to change the terms, specifications and/or conditions of a Service for bona fide operational reasons (including changes made in consequence of governmental, regulatory or third party action). APC Solutions shall give at least twenty (20) Business Days’ notice of any such change to the Customer except where such changes are being made as a consequence of governmental, regulatory or third party action (in which case APC Solutions shall give as much notice as is practicable in the circumstances). 2.11 If APC Solutions, in accordance with clause 2.10 other than as a consequence of governmental, regulatory or third party action, changes a Service in a manner that the Customer reasonably believes materially adversely affects the provision and/or functionality of the Service, the Customer may terminate that Service with immediate effect and without penalty upon notice to APC Solutions given within ten (10) Business Days of receipt of the notice by APC Solutions as to the relevant change. If the Customer does not so notify APC Solutions within that ten (10) Business Day period or uses or continues to use the Service, the change shall be deemed accepted by the Customer. 2.12 Without prejudice to any additional rights under this Agreement, APC Solutions reserves the right to raise an abortive visit Charge in the following circumstances: (i) When a APC Solutions engineer attends an incorrect address provided by the Customer; (ii) when a APC Solutions engineer arrives to carry out the installation at the address provided by the Customer, but either (a) the Customer no longer wants the installation completed; or (b) the Customer, having previously chosen to be present at the time of installation, does not attend; (iii) when entry is refused at a Site, or no access can be gained at the appointed time agreed between APC Solutions and the Customer; (iv) if APC Solutions is delayed in its installation activities because the Customer fails to comply with any of the conditions in clause 2.3 above, and / or fails to make Equipment that APC Solutions has despatched to the Customer for installation purposes available to APC Solutions on arrival at the Site (v) if the engineer attends the Site and finds that the location and/or environment provided by the Customer for the APC Solutions Equipment and/or Customer Equipment is not suitable; and (vi) if the Customer provides APC Solutions with less than 24 hours’ notice of an amendment to, or cancellation of a scheduled delivery of Equipment and/or a Service. 2.13 No Order Form that has been accepted by APC Solutions may be cancelled by the Customer except with the written agreement of APC Solutions and on terms that the Customer shall indemnify APC Solutions in full against all loss (including loss of profit), costs (including costs of materials and any Charges paid or payable to third party providers of telecommunications services), damages and other expenses that may be, or may have been incurred by APC Solutions as a result of such cancellation and/or in connection with any actions taken to provision the Service. 2.14 Order Forms placed for the Service are business to business transactions to which the Consumer Protection (Distance Selling) Regulations 2000 as amended by the Consumer Protection (Distance Selling) (Amendment) Regulations 2005 and the Consumer Contract Regulations 2013 do not apply. 2.15 APC Solutions shall advise the Customer, verbally or otherwise, that the Service is available for use. The Customer shall notify APC Solutions within one (1) Business Day of the installation and testing of the Service if it reasonably considers the Service has a fault. Then as the sole and exclusive remedy, APC Solutions shall promptly take such action as is necessary to correct any fault on the Service and shall notify the Customer of the action taken. 2.16 The Service shall be deemed accepted upon the: (i) expiry of the one (1) Business Day period referred to in Clause 2.15 where no notification as to any fault has been made; or (ii) on signature of the acceptance of Service letter; or (iii) where no acceptance of Service letter has been issued, upon the date the Service is first used. Billing shall commence on the Service Start Date. 2.17 If, following acceptance of an Order Form, the Customer wishes to amend the Initial Service Term, then, the Customer should advise APC Solutions in writing, and APC Solutions shall confirm in due course to the Customer, verbally or otherwise, that the Service Term may, or may not, be amended along with any associated Charges to effect the change to the Order Form. Where the Customer does not wish to accept such Charges to effect the change, then the Order Form and/or Service shall continue without change, or may be terminated by the Customer only in accordance with this Agreement and on the payment of any termination Charges set out in clause 9 or elsewhere in the Agreement or on the Order Form. 3.1 APC Solutions will make reasonable endeavours to provide an uninterrupted service, but the Customer understands and agrees that from time to time Service Faults and Service Failures (as defined in the Additional Terms) may occur. 3.2 If the Customer reports a Service Fault, APC Solutions will repair the fault in accordance with the Additional Terms. If APC Solutions agrees to work outside the hours specified in this Agreement or if the Customer reports a Service Fault and APC Solutions finds there is none or that the Customer has caused the fault, APC Solutions may apply a Charge. 3.3 APC Solutions reserves the right to perform any routine or emergency, routine or scheduled planned maintenance that may limit or suspend the availability of the Service. APC Solutions shall provide reasonable prior notice of any scheduled planned maintenance however the Customer and Customer acknowledge that APC Solutions may not be able to provide prior notice in the event of emergency maintenance. Any suspension in the availability of the Service shall not be deemed to be a violation by APC Solutions of any of its obligations under this Agreement. 4.1. The Customer is responsible for the proper use of User Security Details, if any, and must take all necessary steps to ensure they are kept confidential, secure and not made available to unauthorised persons. If the Customer believes that any User Security Details are or are likely to be used in an unauthorised way, the Customer must inform APC Solutions immediately. The Customer must not change or attempt to change a user-name related to the service without APC Solutions’ prior agreement. 4.2. APC Solutions does not guarantee the security of the Service against unauthorised or unlawful access or use. If APC Solutions believes there is or is likely to be a breach of security or misuse of the Service APC Solutions may: (a) change and/or suspend the service or User Security Details (and notify the Customer that it has done this); or (b) require the Customer to change the User Security Details. 4.3. The Customer acknowledges that APC Solutions exercises no control, does not monitor and shall have no responsibility or liability for the information, services and/or content of any communications accessible through or transmitted using the Services. The Customer assumes total responsibility for the Customer’s use and its Customers’ use of the Service, software and Equipment, whether or not provided by APC Solutions, and the Internet. The Customer acknowledges and agrees that the internet contains materials that are sexually explicit or may be offensive and is accessible by persons who may attempt to breach the security of APC Solutions’ and/or the Customer’s network. APC Solutions has no control over, and expressly disclaims any liability or responsibility for such materials or actions. The Customer and Users access the Service at their own risk. 5.1.4. adhere to any APC Solutions acceptable use policy, which provides more detail about the rules for use of the Service in order to combat fraud, excessive use and where Additional Service are provided, APC Solutions may introduce/require certain rules to ensure that they can be enjoyed by Customers. If APC Solutions publish and/or amend such a policy we will let Customers know. 5.1.5. only be entitled to resell Services or any Equipment purchased from APC Solutions under clause 2.5 in the ordinary course of the Customer’s business (i) with the prior agreement of additional terms between APC Solutions and the Customer and, (ii) when reselling Services over the Equipment, the Customer shall account to APC Solutions for the proceeds of any such sale. 5.1.6. not: (i) engage in activities that are illegal, fraudulent or wrongful or which may be harmful to APC Solutions or other customers of APC Solutions in any way (ii) send any indecent, offensive, obscene or otherwise unlawful content or other material; (iii) undertake or threaten to undertake any conduct which APC Solutions believes, acting reasonably, is capable of either defaming APC Solutions or any third party, and/or bringing the same into disrepute; (iv) violate any applicable law, rule or regulation; (v) infringe, transmit or publish content that infringes, the rights of others, including without limitation, any Intellectual Property Rights of third parties; (vi) use the Services in a fraudulent manner (including using or attempting to use a Service with the intent of avoiding payment by any means or device); (vii) act in a manner which is likely to result in APC Solutions having any liability to a third party; (viii) ensure that any Customer Equipment (a) is technically compatible with the Service and will not harm or otherwise interfere with the APC Solutions Network or any other APC Solutions customers, (b) is connected using the applicable APC Solutions network termination point, and (c) adequately protected by the Customer against viruses and other breaches of security; and (ix) not permit or make any attempt to disassemble, deconstruct, break down, hack or otherwise interfere with any APC Solutions Equipment. 5.1.7. with respect to any APC Solutions Equipment: (i) ensure that the Site is properly prepared to enable the Customer to receive the Service; (ii) not modify or in any way interfere, or allow others to modify or in any way interfere, with the APC Solutions Equipment; (iii) not cause the Equipment to be moved, repaired or serviced except with the permission of APC Solutions; (iv) indemnify and keep indemnified APC Solutions against any damage caused to APC Solutions Equipment howsoever caused; (v) not remove, tamper with or obliterate any words or labels on the APC Solutions Equipment; (vi) not to create or allow any liens or other encumbrances to be created over or in respect of the APC Solutions Equipment; and (vii) use the APC Solutions Equipment only for the purpose of receiving the Service in accordance with the instructions provided by APC Solutions. 5.2. The Customer shall comply (and shall ensure that Users comply) at all times with the Waste Electrical and Electronic Equipment Regulations 2006. 6.1. In performing its obligations under this Agreement, APC Solutions shall at all times exercise the reasonable skill and care of a competent operator or provider of wireless related services. 6.2. APC Solutions shall use reasonable commercial endeavours to ensure that each Service shall conform to the service levels (if applicable) as set out in the applicable Additional Terms. 6.3. Where the Service and/or Equipment is to be provided to a Customer Site, APC Solutions and the Customer may prior to any work commencing, elect to identify and agree in writing and through photographs any existing defects, damage or dilapidation at the Site to determine the existing condition of the Site (“Bill of Dilapidation”). The Customer agrees to pay all Charges relating to the creation of a Bill of Dilapidation which may be invoiced by APC Solutions under the terms of this Agreement. In the event that APC Solutions causes any additional damage during Service and/or Equipment provision, APC Solutions shall make good the Site to the level set out within the Bill of Dilapidation, provided that (i) Bill of Dilapidation was been agreed between the parties prior to any work commencing; and (ii) such damage can be directly attributable to APC Solutions. Where such conditions exist and it is agreed that APC Solutions will make good any damage to the Site, then APC Solutions shall in its sole discretion, either (i) repair such damage within a reasonable timescale (ii) make claim against insurance and repair the damage and/or (iii) agree in writing that the Customer will repair the Site and APC Solutions shall reimburse the Customer all properly incurred and reasonable costs directly related to the damage caused by APC Solutions. 6.4. Except as expressly set out in this Agreement, all warranties, representations or agreements, with respect to the provision of a Service or otherwise, whether oral or in writing and whether express or implied, either by operation of law, statute or otherwise, are excluded, to the extent permitted by law. 7.1. In consideration of the provision of the Services and/or Site Survey, the Customer agrees to pay APC Solutions the Charges in accordance with this Agreement. 7.2. Unless otherwise stated in the Order Form, all Charges shall be billed and paid in pounds sterling from the Service Start Date. All Charges are exclusive of VAT and any similar tax or duty (including withholding tax), each of which shall be for the account of the Customer. 7.3. Whether the Service is in use, used by the Customer or someone else, or not in use the Customer must pay all Charges by bank transfer, direct debit or credit card, unless otherwise advised by APC Solutions. The Customer is responsible for advising APC Solutions promptly of any changes to its bank or credit card details that may affect payment of the Charges. 7.4. Unless otherwise stated in the Order Form the Customer agrees to pay by the date specified on the bill (a) in advance for subscription, rental, and other recurring Charges (including any applicable Site Survey or inclusive usage Charges); and (b) in arrears for usage (excluding inclusive usage Charges), connection and any other nonrecurring Charges. Where possible the Charges will appear on the Customer’s next bill; (c) any Charges for equipment, set up, and, where the order is placed part way through a month pro-rated Charges for that calendar month together with the Charges for the first full calendar month. 7.5. If the Customer disputes any Charge on a bill the Customer must notify APC Solutions in writing within thirty (30) days of the date of the bill with all relevant information. The Customer will pay the full amount of the bill. Any disputes will be resolved promptly and the resolved amount, if any, is payable immediately. 7.6. If APC Solutions does not receive payment by the due date, APC Solutions shall be entitled in addition to any remedy which it might have under this Agreement or otherwise at law to (i) Charge the Customer (a) any late payment Charge as referred to in the Order Form; and/or (b) daily interest on late payments at a per annum rate equal to 8% above the base lending rate of the European Central Bank, compounded daily, for the period beginning on the date on which payment is first due and ending on the date on which payment is made; (ii) deduct any sum owed by the Customer to APC Solutions under this Agreement or any other contract with APC Solutions or from any other payment or credit due to the Customer; (iii) immediately terminate the relevant Service; and/or (iv) instruct a debt collection agency to collect payment (including any interest and/or late payment Charges) on its behalf; and where APC Solutions instructs an agency, the Customer must pay APC Solutions an additional sum to cover the reasonable costs that APC Solutions pays to the agency, and such sum will be added to the Customer’s outstanding debt on APC Solutions’ behalf. 7.7. APC Solutions may at any time: (a) require the Customer to pay a deposit or provide a guarantee as security for payment of future bills by the means requested by APC Solutions; and/or (b) carry out a check of credit worthiness of the Customer. The Customer agrees to provide APC Solutions with any information APC Solutions may reasonably require for this. 7.8. The Customer acknowledges that any failure by it to comply with any request made by APC Solutions under this clause 7 shall constitute a material breach of this Agreement, which is not capable of remedy. 8.1. The Customer may end this Agreement if APC Solutions materially breaches this Agreement and, if the breach is capable of remedy, fails to put right the breach within a reasonable time of being asked by the Customer to do so. 8.3. APC Solutions’ rights to suspend the Service are exercisable without prejudice to APC Solutions’ rights to terminate this Agreement or to terminate the Selected Services under this clause 8. 8.4. If APC Solutions exercises its right to suspend the Service it shall, whenever reasonably practicable, give prior notice of such suspension to the Customer. If a Service is suspended as a consequence of the breach, fault, act or omission of the Customer, the Customer shall pay to APC Solutions all reasonable costs and expenses incurred by APC Solutions in the implementation of such suspension and/or recommencement of the provision of the Service. 8.5. APC Solutions shall not be liable for any loss, damage or inconvenience suffered by the Customer as a result of any suspension made pursuant to this clause 8, except to the extent that such suspension is made pursuant to clause 8.2(i) and where the reasons are solely and directly attributable to the negligence of APC Solutions, and, such liability shall not exceed the value of the direct loss and shall at all times be subject to the limitation of liability set out in clause 10. 8.6. The Customer will continue to pay the Charges during any period of suspension. 9.1. If the Customer or APC Solutions ends this Agreement or the Service during the Initial Term (including, for the avoidance of doubt, under the terms of clause 2.3) the Customer will pay APC Solutions any remaining Charges until the end of the Initial Term. This clause will not apply if: (i) the Customer ends this Agreement or Service during the Initial Term because APC Solutions is in material breach of this Contract; or (ii) the Customer gives notice to end this Agreement in accordance with clause 2.10 or 2.11; or (iii) APC Solutions ends this Agreement or the Service during the Initial Service Term for convenience; or (iv) this Agreement ends because clause 12.3 applies. 9.2. Where the Service is terminated the Customer shall: (a) pay any and all cancellation Charges that may be due in respect of any affected third party services; (b) have no claim against APC Solutions for any compensation for loss of the appointment or of goodwill or otherwise arising out of such termination whatsoever; and (c) forthwith pay any sums due to APC Solutions pursuant to this Agreement, including but not limited to: clauses 1.4, 2.3, 2.5, 2.8, 2.9, 2.12, 2.13, 7.6, 8.6, 9.1 and this clause 9.2. 10.1. Any credits applicable to APC Solutions’ specific non-performance, as described in, and calculated pursuant to, the applicable Additional Terms, are the Customer’s exclusive remedy in respect of any such failure or lack of performance in the provision of the Services. The Customer shall not be entitled to credits during any period in which any amounts owed to APC Solutions are overdue. 10.2. Subject to the exclusion and limitations set out in this clause 10, and in addition to any indemnity provided elsewhere in this Agreement, each party (the “Indemnifying Party”) shall indemnify and hold harmless the other party from and against any claims, demands, actions, costs, liabilities or losses (including reasonable legal fees) arising out of the negligence or intentional misconduct of the Indemnifying Party, its employees or agents, in its performance of this Agreement. 10.3. Subject to clause 10.7, neither party shall be liable, whether in contract, tort (including negligence) or otherwise howsoever, through indemnification or otherwise, to the other party or any third party for any loss of revenue, profit, goodwill, anticipated savings, data or other pure economic loss or any indirect, incidental or consequential damages, arising from, or relating to, this Agreement or the performance or non-performance of its obligations thereunder. 10.4. Subject to clauses 10.3 and 10.5, the Customer and APC Solutions’ liability to the other under or in connection with this Agreement for all and any direct loss or damage arising from any one incident or series of connected incidents in any period of twelve (12) months is limited to the amounts specified in the Order Form. 10.5.4. any breach by a Customer of its obligations in accordance with clause 5.1. 10.6. Subject to clause 2.5 of this Agreement, APC Solutions expressly disclaims any representation or warranty that the Service or the software or equipment provided by APC Solutions will be error free, secure or uninterrupted. No advice or information given by APC Solutions shall create a warranty other than as expressly recorded in the Agreement. 10.7. Neither party excludes or restricts in any way its liability under or in connection with this Agreement for fraud, death or personal injury arising from their negligence or to any extent not permitted by law. 10.8. Nothing in this clause 10 or in this Agreement excludes or limits the Customer’s liability to pay (without set off) the Charges. The Customer limitations of liability referred to in clauses 10.3 and 10.4 above will not apply in respect of claims brought under clauses 10.5 and 11 (Intellectual Property and Confidentiality). APC Solutions will notify the Customer of any such claims or proceedings and keep the Customer informed as to the progress of such claims or proceedings. 10.9. Each part of this clause 10 operates separately. If any part of the clause is held by a Court to be unreasonable or inapplicable the rest of the clause will continue to apply. 10.10. The Customer is advised to obtain its own business continuity insurance. 11.1. All Intellectual Property Rights whether pre-existing or created by the Customer or APC Solutions during or arising from the performance of this Agreement will remain the absolute property of that party or its licensors. 11.2. If Software is provided to enable the Customer to receive and use the Service, it is provided on an “as-is” basis APC Solutions will grant the Customer a, non-transferable and non-exclusive licence to use the Software in object code form solely as necessary for receipt of the Service and solely in accordance with this Agreement and the applicable documentation. The term of any licence granted by APC Solutions under this clause is coterminous with the term of the Service with which the Software is associated. 11.4. Except as permitted by applicable law or as expressly permitted under this Agreement the Customer agrees not to copy, decompile or modify any Software, or knowingly permit anyone else to do so. 11.5. If the Service becomes, or APC Solutions believes it is likely to become, the subject of a claim of infringement of any Intellectual Property Rights APC Solutions, at its option and expense, may:(a) secure for the Customer a right of continued use; or (b) modify or replace the Service so that it is no longer infringing, provided that modification or replacement must not materially affect the performance of the Service. 11.6. If none of the remedies in this clause is available to APC Solutions on reasonable terms, APC Solutions may notify the Customer and terminate the Service without liability to the Customer. 11.7. During the term of this Agreement and thereafter, each party agrees to keep all Confidential Information strictly confidential and to use it only for the purposes of this Agreement. 11.8.5. information that is trivial or obvious. 11.9. Each party shall make its personnel aware of the confidential nature of the Confidential Information and shall ensure that they are prohibited from using, copying or revealing the same other than as authorised by this Agreement. 11.12. Where the Freedom of Information Act 2000 applies to the Customer and the Customer receives a request under the Act that includes any information held by the Customer that was provided by APC Solutions in connection with this Agreement the Customer will:(a) notify APC Solutions immediately of the request; and (b) give APC Solutions at least five Business Days to make representations. 12.1. APC Solutions will not be liable for failure to or delay in supplying the Service if: (i) another supplier delays or refuses the supply of an electronic communications service to APC Solutions and no alternative service is available at reasonable cost; or (ii) legal or regulatory restrictions are imposed that prevent APC Solutions from supplying the Service. 12.2. Except with respect to payment obligations, neither party shall be liable for any failure or delay in performing any obligations under this Agreement or under any contract made hereunder for a Service (and the time for performance shall be extended accordingly) if and to the extent that the failure or delay is due to circumstances beyond that party’s reasonable control (“Force Majeure”) including, without limitation, acts of God, natural disaster, lightning, flood, subsidence, earthquake, weather conditions, epidemic, pandemic, fire, explosion, war, civil disorder, war or act of terrorism, riot or civil commotion or industrial dispute not involving the employees of such party, laws or restrictions imposed by any governmental or judicial authority, acts or omissions of third parties, power outages or interruptions of other utility services, shortages of parts or materials, magnetic interference, or unavailability of telecommunications service or facilities to APC Solutions (“force majeure event”). 12.3. If any of the events detailed in clauses 12.2 materially affects the performance of the Contract and continues for more than three months then the party not subject to the Force Majeure event may terminate this Agreement (or the contract for the Service (as the case may be)) on five (5) Business Days’ notice in writing to the other. 13.1. Escalation and Dispute Resolution: APC Solutions will try to resolve any complaint that the Customer may have with the Service. If the Customer has a complaint the Customer should, in the first instance, write to APC Solutions at: APC Solutions Customer Care, Mustang House, Allshots Industrial Estate, Kelvedon, Essex, CO5 9DF. Nothing in this clause 13.1 will prevent the Customer or APC Solutions from exercising any rights and remedies that may be available in respect of any breach of the provisions of this Agreement. 13.2. Transfer of Rights and Obligations The Customer and APC Solutions may not transfer any of their rights or obligations under this Agreement without the written consent of the other, except that: (a) the Customer may transfer its rights or obligations or both to a Group Company with the written consent of APC Solutions, such consent not to be unreasonably withheld or delayed; and (b) APC Solutions may assign or transfer its rights and novate its obligations under this Agreement to any subsidiary or affiliate or both or to a Group Company without consent provided that it notifies the Customer that it has done so. 13.3. Amending the Agreement: APC Solutions can change this Agreement (including the Charges and the Additional Terms) at any time and will notify the customer of any changes with reasonable notice directly via email or telephone. 13.5. Survival: Clauses 7, 10 and 11 will survive the termination or expiry of this Contract for two years. 13.6. Entire Agreement: This Agreement, together with any document expressly referred to in any of its terms, contains the entire agreement between the parties relating to the subject matter covered and supersedes any previous agreements, arrangements, undertakings or proposals, written or oral, between the parties in relation to such matters. No oral explanation or oral information given by either party at any time shall alter or affect the interpretation of this Agreement. The parties confirm that, in agreeing to enter into this Agreement, they have not relied on any representation other than those, which have in this Agreement been made a representation, and the parties agree that they shall not have a remedy in respect of any misrepresentation, which has not become a term of this Agreement. Nothing in this clause 13 shall operate to exclude any liability for fraud. 13.7. Waiver The failure to exercise or delay in exercising a right or remedy under this Agreement shall not constitute a waiver of the right or remedy or a waiver of any other rights or remedies and no single or partial exercise of any right or remedy under this Agreement shall prevent any further exercise of the right or remedy or the exercise of any other right or remedy. The rights and remedies contained in this Agreement are cumulative and not exclusive of any rights or remedies provided by law. 13.8. Rights of Third Parties Except as expressly provided in this Agreement, a person who is not a party to this Agreement has no right under the Contracts (Rights of Third Parties) Act 1999 to rely upon or enforce any term of this Agreement but this does not affect any right or remedy of a third party which exists or is available apart from that Act. 13.9. Partnerships nothing in this Agreement shall be construed as creating a partnership or joint venture of any kind between the parties or as constituting either party as the agent of the other party for any purpose whatsoever, and no party shall have the authority, or power, to bind the other party, or to the contract in the name of, or create a liability against, the other party in any way or for any purpose. 13.10. Notices given under this Agreement must be in writing and delivered by hand, email or first class post to the following addresses unless otherwise stated in this Agreement: (a) to APC Solutions at the address shown on the bill or any address which APC Solutions provides to the Customer for this purpose; or (b) to the Customer at any one or more of the following: the address to which the Customer asks APC Solutions to send bills or the address of the Site or the Customer’s primary email address or if the Customer is a limited company, its registered office. Any notice pursuant to this clause shall be deemed to have been served: (i) if hand delivered at the time of delivery by posting through the letter box; (ii) if sent by facsimile within one hour of transmission during business hours at its destination or within twenty-four (24) hours if not within business hours (but in the case of facsimile, subject to receipt by the sender of a successful transmission report; and (iii) if sent by post within forty-eight (48) hours of posting (exclusive of the hours of Sunday or a Bank Holiday) if posted to an address within the country of posting and seven (7) days of posting if posted to an address outside the country of posting. The Customer must inform APC Solutions immediately if there is any change to any of the contact information the Customer provided to APC Solutions. 13.11. Law and Jurisdiction This Agreement is governed by the law of England and Wales and is subject to the non-exclusive jurisdiction of the English courts. This Agreement shall be governed by and construed in accordance with English law and the parties irrevocably agree to submit to the exclusive jurisdiction of the English courts in respect of any dispute or matter arising out of or in connection with the subject matter of this Agreement. 13.12. Data Protection the Customer and APC Solutions will comply with their respective obligations under the Data Protection Act 1998 and any data protection, privacy or similar laws that apply to any personal data processed in connection with this Agreement. The Customer and APC Solutions will provide such help and co-operation as is reasonably necessary or requested by the other to enable compliance with this clause. 13.13. Monitor and Record: APC Solutions may monitor and record its communications with the Customer, including emails and phone conversations. Information collected by APC Solutions may be used for training purposes, quality assurance, to record details about the Services ordered by the Customer, and in order to meet APC Solutions’ legal and regulatory obligations generally. 13.14. Marketing: Unless the Customer advises APC Solutions otherwise, the Customer consents to receive marketing messages from APC Solutions via electronic means, telephone and direct mail. If the customer wishes APC Solutions to stop sending such messages, the customer can notify APC Solutions by email, phone or letter. 13.15. Customer Permission: APC Solutions may take instructions from a party whom it thinks, with good reason, is acting with the Customer’s permission. Additional Terms means the Service specific terms and conditions applicable to the Service ordered by the Customer as may be varied by APC Solutions from time to time in accordance with this Agreement. Agreement means this agreement between APC Solutions and the Customer comprising the following documents and, In the event of any conflict, whether in relation to this Agreement (or any separate contract formed by an Order Form) between the General Terms and Conditions, the Additional Terms and the Order Form, the order of precedence shall be: (i) any terms and conditions on the Order Form; then (ii) the Additional Terms then (iii) the General Terms and Conditions. Business Day means any day which is not a Saturday, Sunday or public holiday. Charges means the amount payable by the Customer to APC Solutions for, or relating to, the Service as further detailed in the APC Solutions Charges Schedule, and as set out in the Order Form, or as calculated in accordance with the Agreement, together with any other monies owing to APC Solutions from the Customer under this Agreement. Charges Schedule the APC Solutions Charges schedule provided to the Customer setting out the indicative Charges applicable for the Services. Confidential Information means all information about the business, finances, technology and affairs of the other party, regardless of its nature, and the contents of this Agreement. Customer means the party with whom APC Solutions contracts to provide the Service. Customer Equipment means any equipment, including any software, systems, cabling, facilities (including that purchased under the terms of clause 2 from APC Solutions), owned or controlled by the Customer and used in connection with the Service. Customer Site means a Site that is not owned, operated or controlled by APC Solutions where the Customer requests, on the Order Form, that the Equipment is installed and/or the Service is provided, and APC Solutions agrees to the same. Demarcation Point means the termination point up to and including the APC Solutions Equipment provided and signifying the physical or logical boundary between: (i) the APC Solutions Equipment; and (ii) the Customer Equipment or network to which the Service is to be connected. Equipment means any equipment, device, router, or other tangible material supplied by APC Solutions to Customer as part of a Service. Event of Insolvency means the other party ceasing, or threatening to cease, to carry on business or having a receiver or an administrative receiver appointed over its business (or any substantial part of it) or passing a resolution for winding up or a court of competent jurisdiction making an order to that effect or if it otherwise becomes subject to an administration order or enters into any voluntary arrangement with its creditors generally or undergoes any analogous proceedings in any jurisdiction outside England and Wales. General Terms and Conditions mean these Conditions for the provision of a managed service to a business customer. Group Company means a subsidiary or holding company including a holding company, or a subsidiary of any such holding company, all as defined by Part 38 of the Companies Act 2006. Initial Service Term means the initial term for the Service, as set out in an Order Form. Intellectual Property Rights means all copyright and other intellectual property rights, howsoever arising and in whatever media, whether or not registered, including (without limitation) patents, trademarks, service marks, trade names, registered designs, database rights, domain names and any applications for the protection or registration of these rights and all renewals and extensions thereof throughout the world. Order Form means the APC Solutions sales order form or such other form of order as APC Solutions in its sole discretion elects to accept. APC Solution. APC Solutions Equipment means any equipment, including any Software, device, or other tangible material supplied as part of the Service by APC Solutions to the Customer as part of a Service, which remains the property of APC Solutions. APC Solutions Network means APC Solutions’ network for telecommunications services wholly owned and operated by APC Solutions and excludes any Customer Equipment. Requested Service Start Date means the date on which the Customer wishes the Service to be activated as set out in the Order Form. Service means any service identified on an Order Form signed by the Customer. Site means a site or sites specified in an Order Form at which a Service is to be provided. Site Survey means any survey conducted by APC Solutions, or its third party at a Site to determine whether or not an APC Solutions Service can be provided at that Site. Software means any software and associated written and electronic documentation and data provided by APC Solutions under this Agreement. Term means from the date an Order Form is accepted in accordance with clause 1.1 until the date on which this Agreement is terminated. Trade Marks means those of APC Solutions’ trade names, trademarks or service marks as are applicable to Service(s) and are notified by APC Solutions to the Customer from time to time. User means anyone who is permitted by the Customer to use or access the Service. User Security Details means any IDs, user names, personal identification numbers and passwords. The following terms are additional to those in the applicable General Terms and Conditions (“GTC”) and shall apply where, pursuant to an Order Form, the Customer orders Wireless Broadband Internet Services (“WBIS”) Services (the “Service(s)”), as may be delivered in accordance with these Additional Terms and relevant Order Form. Capitalised terms shall, unless separately defined below, have the meaning given to them in the GTC. Microwave Ethernet means a radio data link providing a defined level of bandwidth (as specified on the Order Form) and presented to the Customer as an Ethernet connection. Service Level(s) means the expected levels of service as defined in section 4 of these Additional Terms. Service Failure means a failure of the Service resulting in a total loss of the Service (i.e. no transmission of signals in one or both directions between the product demarcation points whatsoever) and such failure is caused directly and solely by the APC Solutions Network and/or act or omission of APC Solutions during which time it is not possible to transmit data. A Service Failure begins upon the earlier of: (i) the Customer contacting APC Solutions to report a total loss of Service and this total loss of Service is confirmed by APC Solutions; or (ii) APC Solutions detecting a total loss of Service. The Service Failure ends when either (i) there is traffic (data packets) on the APC Solutions Network; and/or (ii) APC Solutions confirms to the Customer that the Service is restored, either fully or temporarily, in accordance with section 3 below. Service Fault means a Customer reported loss or degradation of Service during which time there is an inability to transmit data and such a fault is caused directly and solely by the APC Solutions Network and/or act or omission of APC Solutions and, on investigation by APC Solutions, may or may not in its sole discretion, be reclassified as a Service Failure. Local Area Network means computer or other network that links devices within a building or group of adjacent buildings. 2.1 The WBIS Service provides the Customer with an Internet connection facilitated by using a Microwave Ethernet or other telecommunications link from a Customer Site to the public Internet. 2.2 The Service shall be ordered by completing and signing an Order Form, in accordance with the GTC. 2.3 If APC Solutions chooses to supply, or the Customer chooses to opt, for a Static IP address or a range of Static IP addresses provided by APC Solutions at Customers cost then: (a) APC Solutions is not responsible in connection with the provision of the Service for providing any technical or other support on or for the Customer’s Local Area Network; (b) the IP addresses that are allocated to the Customer are for use in connection only with the Service and the Customer will not gain any ownership rights in those IP addresses. The Customer must not sell them or agree to transfer them to anyone else or try to do so. (c) to the extent that any of the Services ordered hereunder are terminated for any reason, the associated IP addresses will revert to APC Solutions. (d) If APC Solutions determines that Customer is not using its assigned IP addresses APC Solutions may give the Customer one (1) months notice that APC Solutions will reclaim the assigned IP addresses for use by APC Solutions. APC Solutions may provide a temporary fix to the Service and where APC Solutions Equipment needs to be replaced shall schedule a time at a later date to replace the APC Solutions Equipment under scheduled planned maintenance. 3.1 APC Solutions shall use reasonable endeavours to maintain an annual WBIS availability of 99.95%. 3.2 APC Solutions will provide Telephone Support to the Customer within 1 hour of a fault being reported. 3.3 APC Solutions, where the Customer takes an APC Solutions managed router, will provide Remote Support response within 1 hour. 3.4 When a Fault is not able to be rectified remotely, and requires a Customer Site visit, APC Solutions will attend the Customer Site on the next Business Working Day. 1.1. 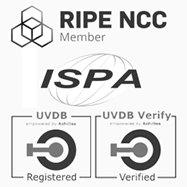 This acceptable use policy (“AUP”) outlines the principles that govern use of the systems, services and equipment provided by APC Solutions UK Limited (“APC” or “we”) in connection with your APC services. 1.2. You must read this AUP very carefully. It forms part of your contractual services agreement with us. 1.3. “User(s)” or “you” means customers or anyone else who uses or accesses APC’s services. 1.4. We may amend, modify or substitute this AUP at any time. Your continued use of any APC services after any such amendment, modification or substitution constitutes your acceptance of any new AUP. 2.1. We reserve the right to investigate any suspected violation(s) of this AUP. When we become aware of possible violations, we may initiate an investigation, which may include gathering information from the User involved and the complaining party, if any, and examination of material on our servers, networks or any other equipment associated with the services. (e) termination of your account (with or without notice). This is not a full list of the action we may take. See also the terms and conditions of your customer service agreement with us (“terms and conditions”) and paragraph 2.3 below. 2.3. Notwithstanding our right to restrict, suspend or terminate your services, if you breach this AUP and/or our terms and conditions we may issue a formal warning to you specifying the unacceptable conduct and notifying you that repeated breaches may result in all or part of our services being temporarily or permanently withdrawn from you. 2.4. If, after we have issued a formal warning in accordance with paragraph 2.3 above, your conduct continues to breach this AUP, then we will withdraw all or any part of the services from you until such time as we are satisfied that you have implemented appropriate steps to ensure that your use of our systems, services or equipment will comply with this AUP. 2.5. If such a suspension is imposed, then this may be lifted at our discretion upon receipt of a formal written undertaking from you not to commit any future relevant abuse. Until the formal written undertaking is received by us using the contact details we specify to you your account will remain suspended. APC is in no way responsible for any loss during transmission (post, email, fax). 2.6. Prior to terminating services as a general rule, we will attempt to work with Users (but are not obliged to do so) to avoid future violations of the AUP and to ensure that there is no reoccurrence of the incident(s) in question. 3.1. You must not use our services in any way that is unlawful or illegal or in any way to the detriment of other Internet users. You also must not allow anybody using your connection to use our services in any way that is unlawful or illegal or in any way to the detriment of other Internet users. 3.2. In addition to and without prejudice to your obligations pursuant to our terms and conditions, you agree to comply with (and ensure that others using the services comply with) all applicable laws, statutes and regulations in connection with the services. As the User of record, you are liable for all use of all accounts in your name, irrespective of use without your knowledge and/or consent. 3.3. You are required to keep your contact details provided to APC up to date. Keeping such records up to date is important as we may need to send notices or other information to you using the contact information you gave us. 3.4. We normally notify customers of AUP-related issues by email prior to suspension/disconnection of services and it is important that you read these emails. 3.5. In the event that your use of our services is under investigation by relevant authorities, we reserve the right to suspend the services for the duration of the investigation. 4.1. The security of the services used by you from your business is your responsibility. We are not responsible for the consequences of your failure to employ adequate security measures (e.g. lost or corrupted files, identity theft, fraud). 4.2. Users are responsible for the security of their own devices that are directly or indirectly connected to our systems. This includes, but is not limited to: PCs, iPods/iPads (or equivalent), laptops, smart-phones, wired and wireless networking devices. 4.3. If we identify that devices on the end of your connection are causing significant impact to our service or are part of a “botnet” (machines hijacked by others to distribute malicious software or other forms of abuse), we reserve the right to suspend or disconnect your services without notice. 4.4. Users must ensure that their devices are protected with up-to-date anti-virus software and a properly configured firewall as a minimum where applicable. 4.5. You must keep your password(s) confidential and secure. If you think that your password(s) has become known to any unauthorised person or may be used in an unauthorised way you should take steps to change your password immediately. If you believe that any of your devices have been used to breach the terms of this Acceptable Use Policy you must inform us immediately. 5.1. Users must not take any action that may restrict or inhibit any person, partnership, company, firm or organisation (whether a customer of APC or otherwise) in his/her/its lawful use or enjoyment of any of our systems, services or products. 5.2.7. conducting, for malicious purposes, any form of network monitoring or interception of any data that does not belong to you. 6.1.5. programmes containing viruses, Trojans, malware (malicious software), hoaxes or any tools designed to compromise the security of Internet users, websites and/or systems. However, you may pass samples of malware in a safe manner to appropriate agencies for the purpose of combating its spread. 6.1.6. phishing – material that is designed to acquire information such as usernames, passwords, credit card details or other personal information through masquerading as a trusted source. 6.2. For the avoidance of doubt, the storage upon and/or distribution via our systems and/or services by any User of “pirated” software, or any other materials that are not expressly licensed to the User, will constitute a violation of this AUP. 6.3. At our sole discretion (and without prejudice to any of our other rights pursuant to this AUP and our terms and conditions), we reserve the right to remove any material from any server under our control. In addition to any other action we may take, we reserve the right to notify relevant authorities, regulators and/or other third parties of the use, storage, distribution, transmission, retransmission or publication of prohibited material (and/or any other materials the dealing with or use of which may constitute unlawful conduct by Users). 6.4.1. We reserve the right to discontinue access to any Usenet newsgroup at any time and for any reason. 6.4.3. Usenet news articles posted using our services must comply with the written charter of the newsgroup to which they are posted. If a newsgroup does not have a charter, its title or recent content may be considered sufficient to determine the general topic of the newsgroup. You are responsible for determining the rules of a newsgroup before posting to it. 6.4.4. You may post advertisements only in those newsgroups that specifically permit them in the charter. Some newsgroups may permit “classified ads” for single transactions between private individuals, but not commercial advertisements. You are responsible for determining whether or not a newsgroup permits such non-commercial advertisements before posting. 6.4.5. Users may not alter the headers of posts to Usenet to mislead other Internet users as to the origin of the posting. This includes but is not limited to, pre-loading the path, using another user’s details, using an incorrect “Date:” line. Using an invalid “From:” address for the purposes of combating e-mail spam messages that would otherwise be sent to you is not considered to be misleading. We may cancel Usenet articles posted via our servers if they breach this AUP. Users should not cancel Usenet articles of any third party without the express consent of such third party. You may not use our resources to cancel articles that you did not post. The sole exception to this rule is for moderators and retro-moderators of formally moderated newsgroups or newsgroups specifically allowing this in their charter, in which case the moderator or retro-moderator of a newsgroup may cancel any articles in a newsgroup he or she is moderating. 6.4.6. You may not attempt to “flood” or disrupt Usenet newsgroups. Examples of disruptive activities include posting multiple messages with no text in the body, or posting many follow-ups to messages with no new text. 6.5. It is your responsibility to back up the contents of your email account. Upon suspension or termination of services the content may be removed and permanently deleted by APC Solutions without notice. 6.6. For the purposes of clarity the term ‘unsolicited’ can be defined as ‘not asked for’ or ‘unwanted’. 6.7. Violations of this AUP may result in a large amount of email traffic. If our customers send and/or receive so much email that our resources are affected, we reserve the right to take such action(s) as may be necessary (to be determined at our sole discretion) to protect both the services and our Users, including, but not limited to, deployment of appropriate network security software. 7.1. Users may only run servers to provide Internet Protocol Services (“IPS”) within the limits set out in Sections 4, 5 and 7. Users are deemed wholly responsible for any and all network traffic emanating from relevant servers and are required to ensure that such IPS are secured against abuse by third parties. This includes (but is not limited to) ensuring that servers are running up-to-date security patches and are configured so as to not act as relay servers at any time. “Relay servers” mean servers that can be utilised by another Internet user to relay spam, or any other type of abusive network traffic. 7.2. Failure by Users to secure servers against such abuse may result in immediate suspension or termination of service by us (acting at our sole discretion), with no prior notice, in order to protect the overall network and the services we provide to other customers. 7.3. In addition to the above, Users’ provision of IPS must not adversely affect any other users of our network (including telephony and internet services). Further, Users may not include within and/or distribute via an IPS any content without the express consent of the owner of all relevant rights in such content (including but not limited to intellectual property rights). We reserve the right to monitor network traffic and to take appropriate action as required, including the right to restrict any IPS. We will not offer any technical support for the provision of IPS. 7.4. We may contact Users at any time to instruct them to stop making server(s) available via their APC services. Upon being notified Users must cease to operate the relevant server(s) with immediate effect. You must use your Service in accordance with any download or capacity limits stated in the specific plan that you subscribe to for the use of that Service. We may limit, suspend or terminate your Internet Service if you unreasonably exceed such limits or excessively use the capacity or resources of our Network in a manner which may hinder or prevent us from providing services to other customers or which may pose a threat to the integrity of our Network or systems. If APC determines that excessive bandwidth, disk space utilisation or high CPU loads are adversely affecting APC’s ability to provide service to other users, APC may take immediate action. APC will attempt to notify the account owner as soon as possible. Where a data service is specified as Un-metered or Un-limited use, reasonable usage is considered to be within 1TB per month. Where this usage is exceeded, or looking likely to be pro-rata, APC reserves the right to apply policies in traffic management to limit or restrict the usage above this level or to terminate the Users access to the Services if the limits continue to be exceeded after notification to the User. We want you, and all our customers to enjoy the APC broadband experience. APC’s policy towards Fair Usage is that all Customers should be able to use the service in an appropriate manner to meet their needs. A very small number of customers could potentially abuse this freedom and use an excessive amount of the network bandwidth at peak times, to such an extent, that it can seriously impair the service of other customers. APC’s Fair Usage Policy is designed to provide the most enjoyable and effective service to all our broadband Customers. This Fair Usage policy will ensure that we identify the small number of very heavy users, and help these users by suggesting a more appropriate product for their needs. AM I GOING TO BE AFFECTED BY THIS POLICY? Generally, only users who indulge in frequent Peer-to-Peer file sharing, or stream HD video for extended periods, or have HD CCTV constantly streaming, will be affected by this policy. If this doesn’t describe you, it’s unlikely that you will be affected. Also, it’s worth noting that if you choose to participate in these, always be aware of your legal obligations and make sure the content you are accessing doesn’t infringe copyright or any other laws. WHAT HAPPENS IF I AM AFFECTED BY THIS POLICY? If you are affected by this policy, you may notice that your connection speed is reduced, or ‘throttled’ once you have exceeded the limits stated above. If you believe that this fair usage policy may affect you, or you are at all confused, please feel free to contact us and we’ll be able to discuss your current usage and advise you of other broadband products that may be suitable for you. Whilst we aim to deliver a high level of customer satisfaction, we acknowledge that from time-to-time problems do occur. We are committed to ensuring that every effort is made to resolve any difficulties quickly and to your satisfaction. If you do wish to make a complaint, please do so by logging a ticket in the Customer Portal link and place “Complaint” in the subject heading. You can also send your complaint by post to the Complaints, APC Communications Solutions T/A Essex Wifi, Units 21-22 Allshots Industrial Estate, Woodhouse Lane, Kelvedon CO5 9DF or by email to sales@essexwifi.co.uk and put “Complaint” in the subject bar. We will then allocate your complaint to a dedicated account manager who will follow the complaint through to completion. We aim to solve any problem to your complete satisfaction. Your account manager will try to do this as quickly as possible, preferably during a phone call or ticket exchange. If we can’t do this, we will agree a mutually agreeable time frame. We aim to respond to a letter within 14 calendar days and a ticket within 7 calendar days. We’ll try to sort out your complaint on the spot, however whatever happens, we will respond and keep you updated regularly. If our account manager is unable to resolve your complaint, we’ll escalate this to our Complaints Manager. If we are unable to deal with your complaint, Ombudsman Services may be able to help. Ombudsman Services is an independent dispute resolutions service. For more information visit www.ombudsman-services.org . If we have come to a deadlock (you have received in writing a deadlock letter) or 8 weeks have passed since you first told us about your complaint, you now have the right to refer your complaint to Ombudsman Services. This is a free service. Ombudsman Services can’t deal with complaints about commercial policy (e.g. our prices or broadband availability). Nor can it deal with complaints from businesses with more than 10 employees. If you complain to Ombudsman Services, you must do so within 6 months of receiving your ‘deadlock’ letter. If we haven’t sent you a ‘deadlock’ letter, you must contact Ombudsman Services within 12 months of making your complaint to us. This Code of Practice was last updated 05/06/18.